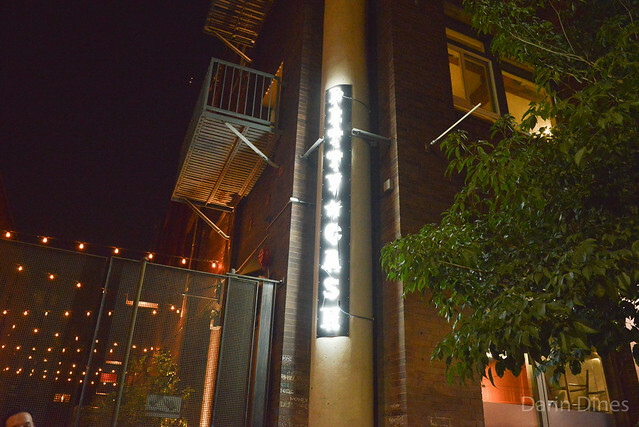 I’ve never been to mid-city’s Petty Cash, a modernized taqueria from chef Walter Manzke and restaurateur Bill Chait. The restaurant has been pretty popular since opening two years ago spawning this second location in the red hot Arts District of downtown. The restaurant recently soft opened with a number of ‘Test Kitchen’ dinners. 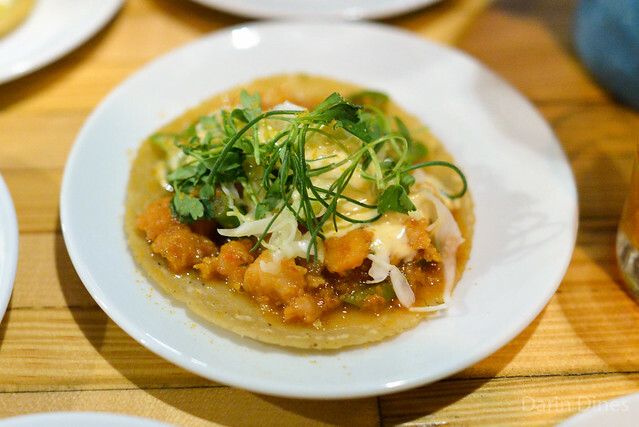 Night one included a mashup of Carlos Salgado of Taco Maria and Wes Avila of Guerrilla Tacos. 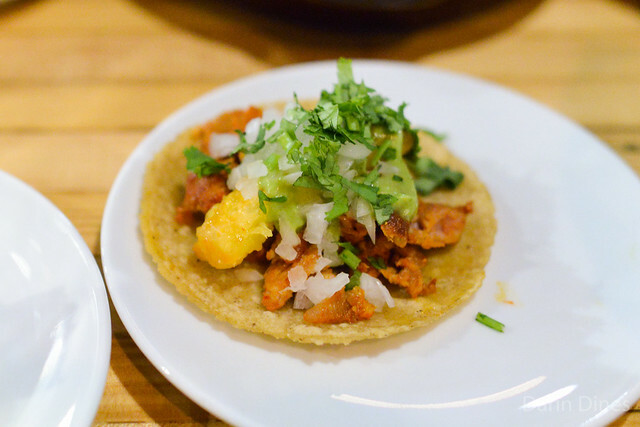 Night two, the one recapped here, featured Javier Plascencia (Tijuana’s Mision 19 and San Diego’s Bracero Cocina) and Tim Hollingsworth (The French Laundry, Barrel & Ashes, Otium) pairing up with the Petty Cash team to cook up some tacos. I’ve seen and heard about Plascencia’s cooking for some time and have never tried it so this was a great opportunity to get a taste of his Baja-Mediterranean cuisine. I’ve been a fan of Hollingsworth since his days at The French Laundry so I’m always in for a peek at what he’s cooking. This served to be a sort of preview of his forthcoming concept Otium at the new Broad Museum downtown. A $48 ticket bought a handful of appetizers, 3 tacos and a cocktail. 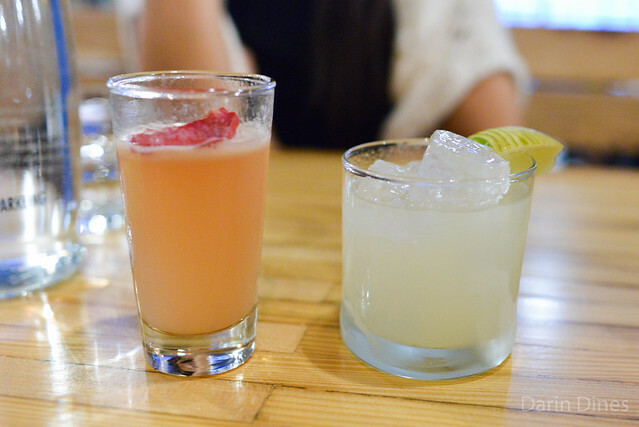 This was the first duo of cocktails; both were good. 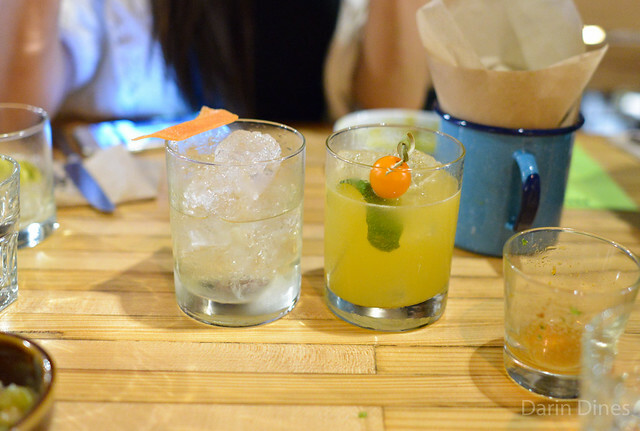 My favorite was probably the margarita thanks to rather bright and refreshing notes. 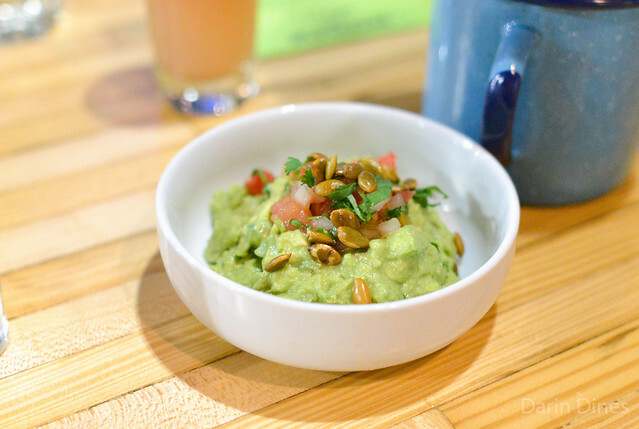 Guacamole was the first food to the table served with warm freshly fried chips. 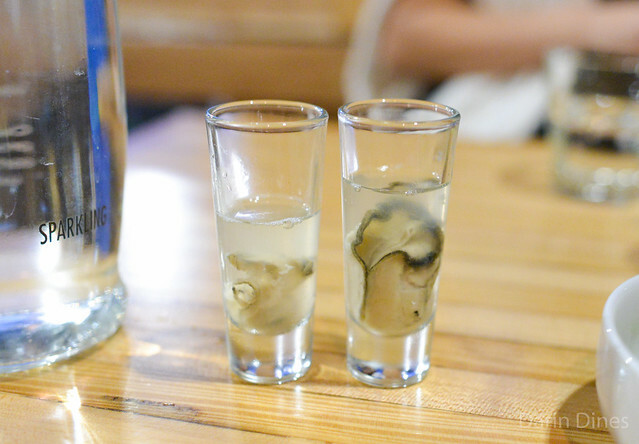 Oyster shooters were next with a sweet plump oyster in a very spicy shot of liquid. 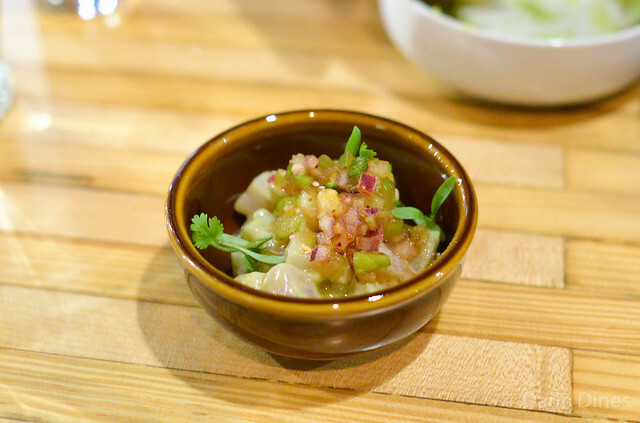 Hamachi showed off clean flavors with a bright acidic base. 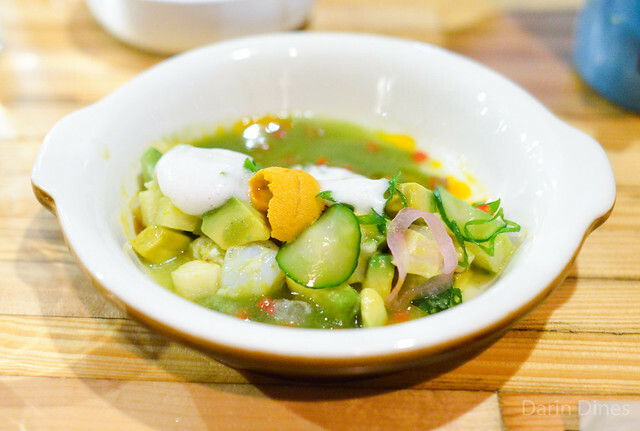 The aguachile had nice textures between the shrimp, avocado and jicama; citrus and spice were more subtle than expected. 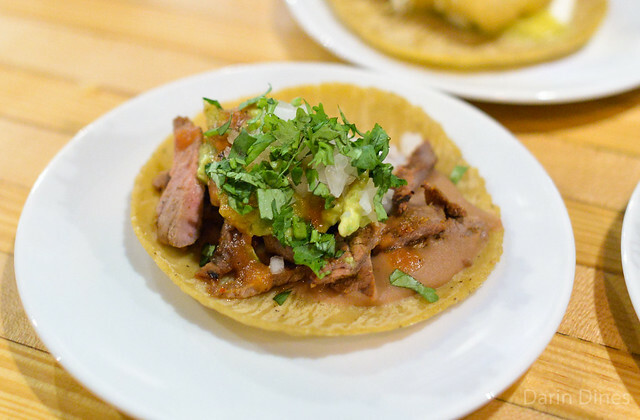 Upon completion of the appetizers, six tacos came out all at once. 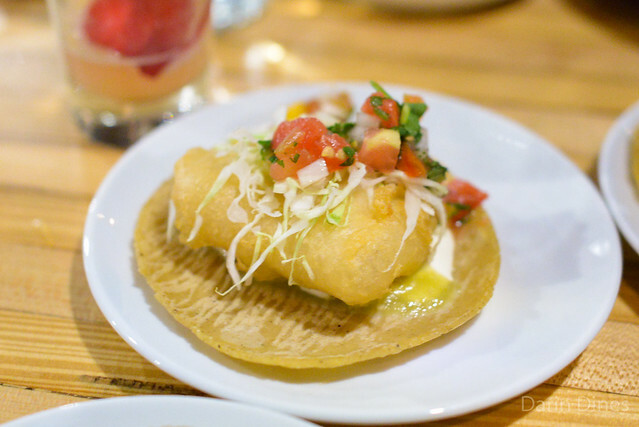 The fish taco was the highlight of the Petty Cash offerings with light, flaky fish in a crispy batter. 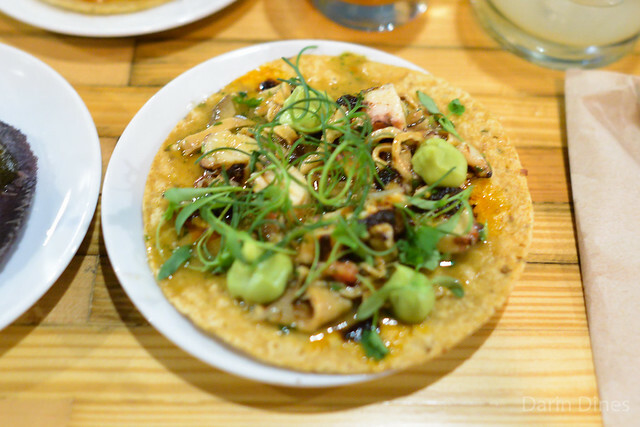 Plascencia’s two seafood tacos were highlights as well, one with plump sweet shrimp and cured uni bottarga and one as a tostada with fish maw and smoked octopus. 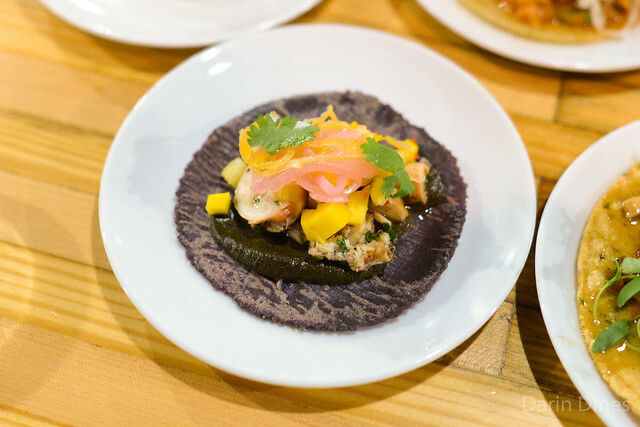 Hollingsworth’s grilled octopus taco may have been the most finessed with sweet mango and pineapple flavors, some habanero heat and a charred onion salsa. The Oaxacan Angel was alcohol-forward while the Mustache Ride was beautifully balanced, slightly savory and slightly herbaceous. This dinner was a unique chance to try some of Plascencia’s and Hollingsworth’s food and I’m glad to have experienced it. As a whole, it successfully whet my appetite for the forthcoming Petty Cash opening; I’m looking forward to having it close to me. The food coming out of the kitchen seemed to already hit its stride while the service understandably continued working out kinks during this ‘soft open’ phase.